Broadway composer and lyricist John Bucchino performs with some special guest at St James Studio. 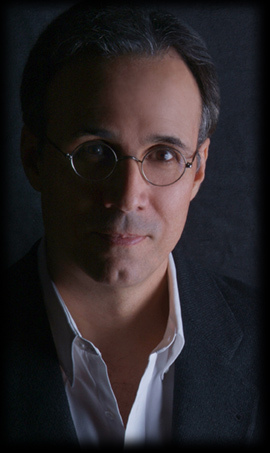 Award-winning American composer and lyricist John Bucchino is not as well-known here as some songwriters who have journeyed across the pond, but his work is well worth listening out for. 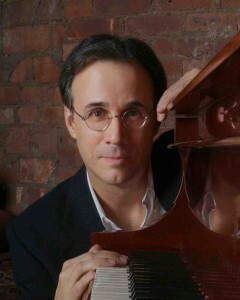 Although he has written for Broadway and film, and his compositions have been performed by pop, theatre and opera artists such as Art Garfunkel, Kristin Chenoweth and Yo-Yo Ma, much of his material gets aired on the concert and cabaret circuit – and for good reason. His songs often tell a whole story, are complex and rich, rather than glitzy, and are for the most part melodic with only selective moments of discord included for specific effect (such as the frenzied accompaniment to ‘On My Bedside Table’ working well against the slightly embittered, disillusioned and amusing lyrics). Such fare is a gift for the cabaret singer. This show is a selection of his songs, some sung by Bucchino and others by guest artists, but all introduced by the composer. He is fortunate that some of the artists he particularly enjoys, and has a rapport with, happen to live or be staying in London, one being Grammy Award-winner Hila Plitmann who sang a beautiful version of one of Bucchino’s most famous songs, ‘Sweet Dreams’. I have heard a number of artists perform this song, but the extra vulnerability her soprano voice brought to this rendition was most moving. Several of the guests were either from Australia or Europe, which gave the evening an interesting mixture of sound. One that was especially arresting was Linnea Stenbeck, whose relaxed elegance and unique voice made her stand out. Each gave a very creditable performance, and some moments were truly magical, such as Australian Belinda Wollaston singing ‘Temporary’ from one of Bucchino’s early book musicals Urban Myths. I also enjoyed Sophia Ragavelas’ storytelling in ‘One White Dress’ from A Catered Affair, a musical nominated for 12 Drama Desk Awards and winner of the New York Drama League Award for Best Musical. Structurally, there were rather too many ballads in the show, beautiful though they were, especially in the first half, with a couple of excellent exceptions from Phoebe Coupe singing the caustic ‘When You’re Here’ and Suzanna Kempner’s funny, drunken rendition of ‘A Contact High’. Amongst the men were London-based actor and singer John Barr whose assured, sensitive understanding of a lyric is always notable. He is never afraid in a ballad to sustain notes, but does so without indulgence. He recently completed a run of the musical A Class Act at London’s Landor Theatre, and there is hope that this well-received piece may have a further life. Popular Danish musical theatre performer Christian Lund, who is currently working on a new musical with Bucchino, revealed a strong stage presence during a rendition of the imploring ‘Better Than I’, and Matthew Barrow, currently appearing in Sondheim’s Merrily We Roll Along at the Harold Pinter Theatre, gave us the welcome uptempo number ‘Painting My Kitchen’depicting the contradictions of a man arguing in his own head. Another standout offering came from Australian Amelia Cormack who, appropriately, accompanied ‘The Song With the Violins’ (apparently written when someone failed to turn up to Bucchino’s house for dinner one night) with that very instrument. Refreshingly, Bucchino is very honest about the difficulties he sometimes faces in writing songs, from lengthy periods of writer’s block to restricting moments of self-doubt. His introductions were not over-long and yet we were able to glean quite a bit about him from his patter, as well as through the material shared. This was an unusual opportunity to see different artists present the work of one composer who was actually participating in the show itself. Bucchino has a warmth and generosity of spirit that helped his artists, many of whom are not known to London audiences, feel relaxed and able to give of their best. The two-woman production team Skye Crawford and Hillary Elk were behind Bucchino’s London performance, let’s hope he returns again soon. This entry was posted in Cabaret Reviews and tagged A Catered Affair, A Class Act, Amelia Cormack, Belinda Wollaston, cabaret, Christian Lund, Crow and Elk, fiona jane weston, Harold Pinter Theatre, Hila Plitmann, Hillary Elk, John Bucchino, Landor Theatre, Linnea Stenbeck, London theatre, Matthew Barrow, Merrily We Roll Along, Phoebe Coupe, Skye Crawford, Sophia Ragavelas, St james Studio, Suzanna Kempner, Urban Myths. Bookmark the permalink.